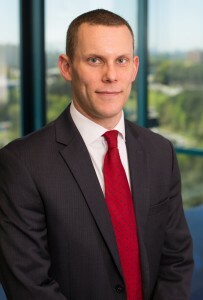 Get to Know Mediator Rusty Grant, Esq. 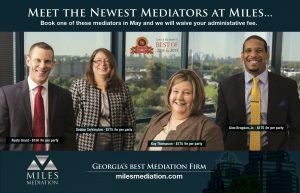 As Miles Mediation continues to grow, we want to make sure you get to know our mediators outside the caucus room and learn how their journey brought them to Miles. We’re excited to welcome Rusty Grant to our group of exceptional mediators. Rusty is accomplished and passionate about his work; find out more about him, from why he believes in the mediation process to what he does in his spare time…. To be honest, there was no defining moment or defining reason that made me want to be a lawyer. It’s just something I always knew I would do. When I was halfway through college, my options were to pursue a career in journalism or go to law school, and I knew I would rather go to law school. I’m proud of the relatively young age at which I have accomplished some of my goals. I joined Cruser & Mitchell with no civil litigation experience and in six years, became the youngest partner in the firm. Why is mediation an important process? Mediation is important because, if for absolutely no other reason, it is an opportunity to listen to the other side present its case. It’s a free look at what the other side believes its strengths are. There are obviously numerous other benefits, and it’s an opportunity all litigants should take advantage of to try to resolve their cases. But even when resolution does not occur, both sides leave knowing more about the case than when they began. I grew up in Atlanta/Buckhead. What are your top 5 personal values? Effort – A person can accomplish a lot with effort. Talent gets you nowhere without it. Integrity – Without integrity, talent and effort are also dead ends. A person needs to have the trust of others to succeed. Acceptance – People would be a lot better off if they would accept others rather than trying to change them. Loyalty – I am deeply loyal to those who have been loyal to me. Efficiency – I strive to be efficient in everything I do. Nothing drives me crazier than when something that can be done in two steps ends up taking 20. If you could change anything about the world, what would it be? I would make people see other perspectives more clearly. I find that many of our disagreements would be more easily solved if we could see and understand another’s point of view. I exercise every day, sometimes more than once per day. My hero is my father. I could not have had a better example of how to live my life.